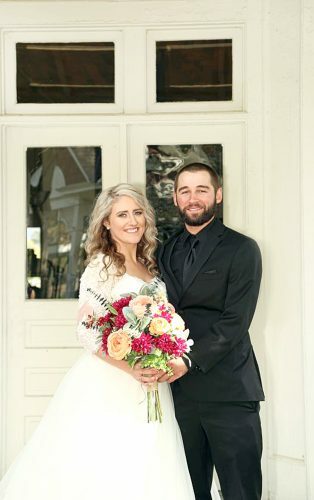 EAST LIVERPOOL – Leah Marie Burke became the bride of James Robert Coffman III, April 25, 2015, in a ceremony performed at the First Church of the Nazarene. 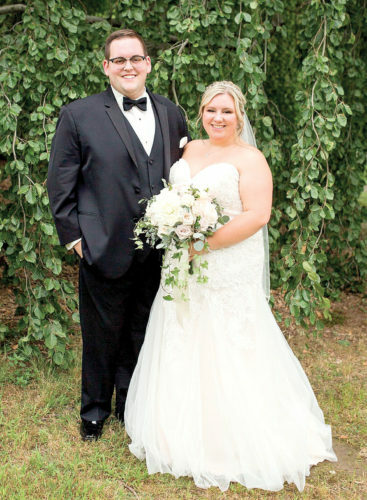 The bride is the daughter of Todd and Ninette Burke of East Liverpool. The groom is the son of James and Beverly Coffman Jr. of Leetonia. Presiding Minister was Dr. Robert Sylvies who officiated the 3:30 p.m. ceremony. 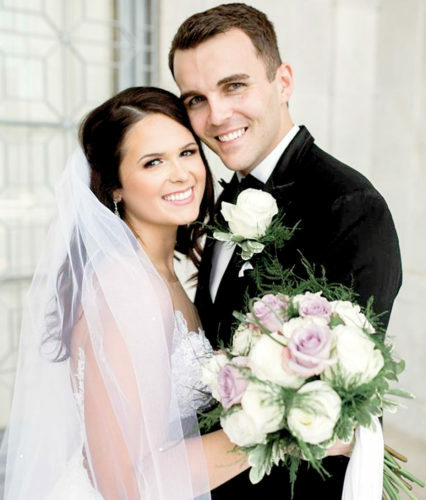 The bride, escorted by her father, wore a white princess style tulle ball gown, covered with lace-up back and side swags. Embroidery and sequins were featured as well as on the train. A white waist length veil finished off her look. She carried a bouquet of real white roses, with small blue accent roses wrapped in royal blue and white ribbon. 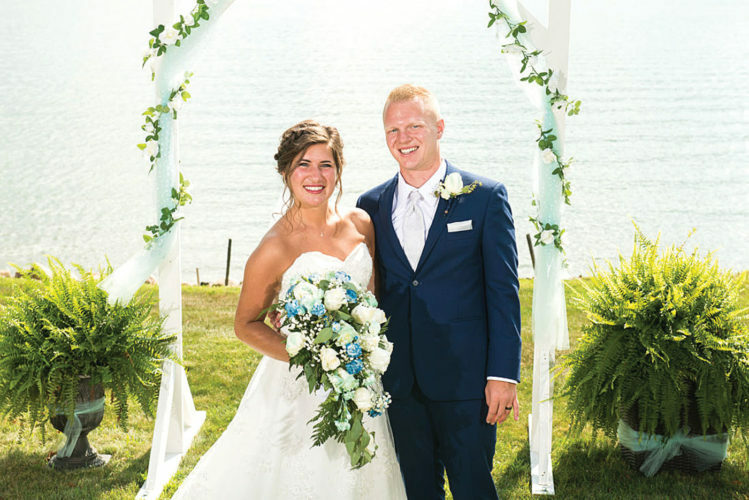 Kristy Collins served her sister as Matron of honor wearing a floor length royal blue gown. In matching gowns, were Alissa Butler and Elisha Garcia friends of the bride, who served as bridesmaids. Flower girls were Ava and Isabella Collins, nieces of the bride. The groom wore a Vera Wang collection tuxedo in dark gray. Bill Beiling performed the duties of best man for his friend. Accompanying groomsmen were Neil Valentine and Todd Smith all wore matching tuxedos as the groom. Ring bearer was Liam Collins, nephew of the bride. A reception followed the ceremony in the ballroom at the Mountaineer Racetrack & Gaming Resort. The couple honeymooned on the Island of St. Thomas, U.S. Virgin Islands. 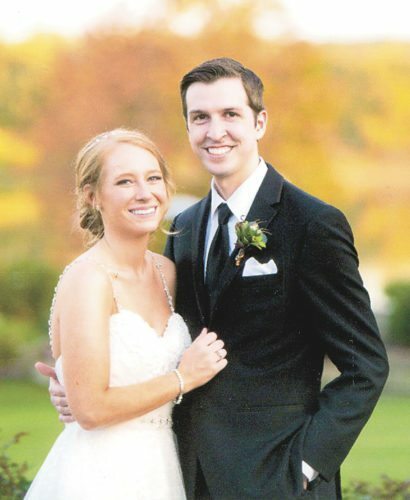 The new Mrs. Coffman is a 2004 graduate of East Liverpool High School and is employed as a CAT scan technologist at East Liverpool City Hospital-River Valley Health Partners. 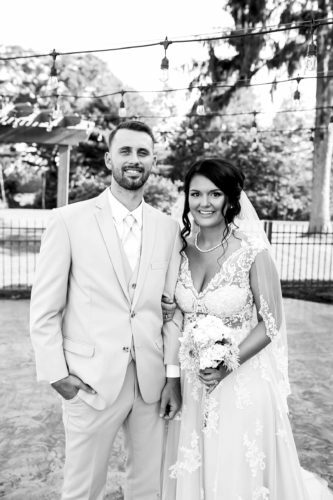 The groom is a 2006 High School graduate of Leetonia High School and is employed as a wireless sales consultant for Verizon wireless premium retailer.